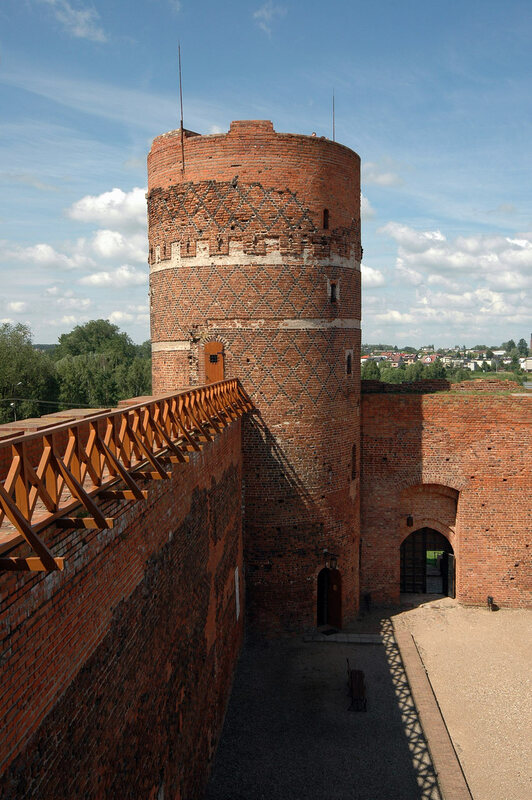 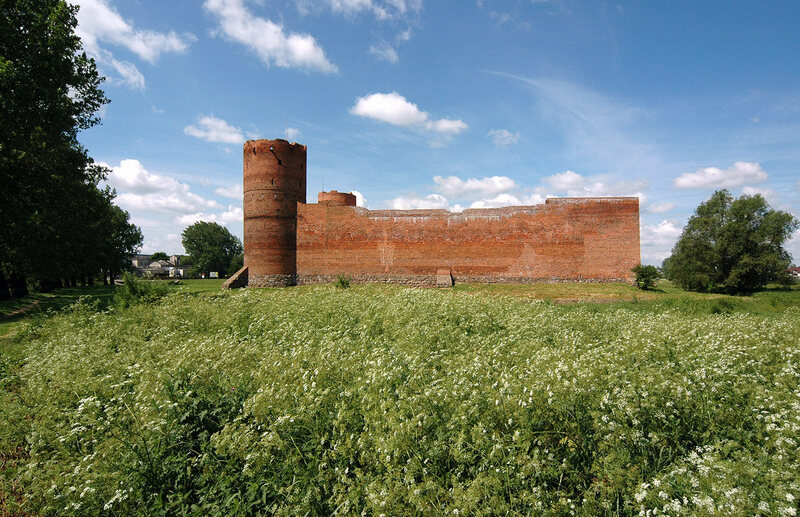 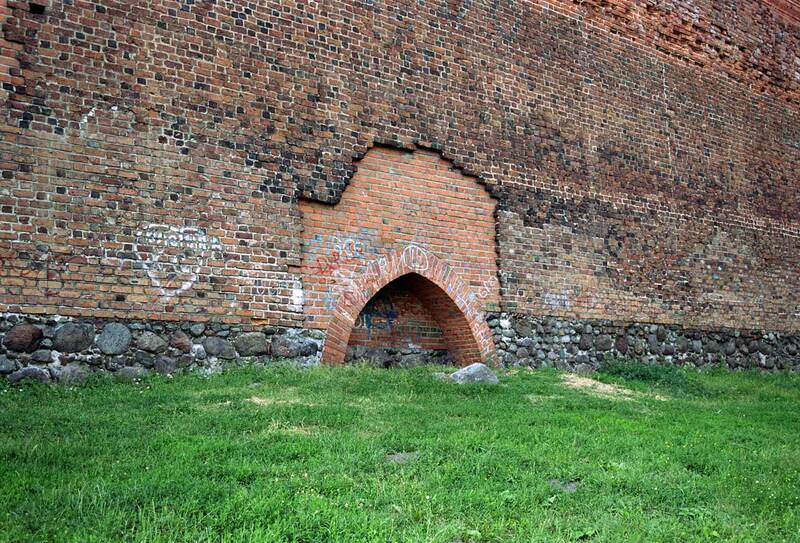 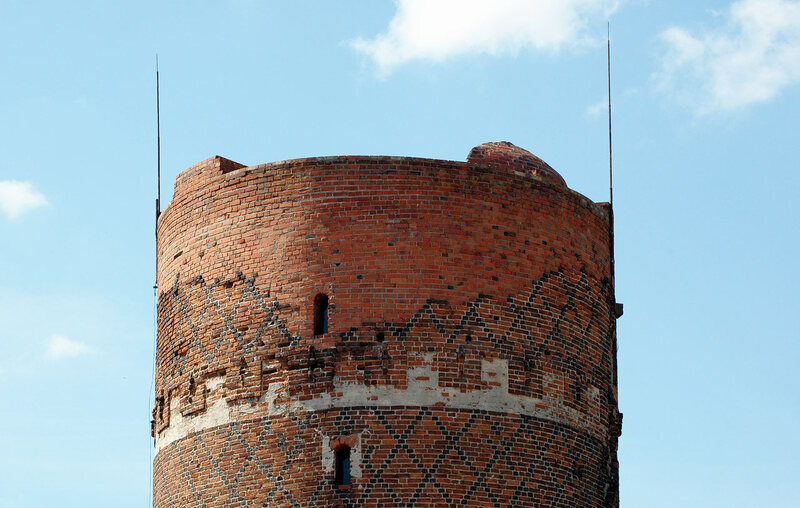 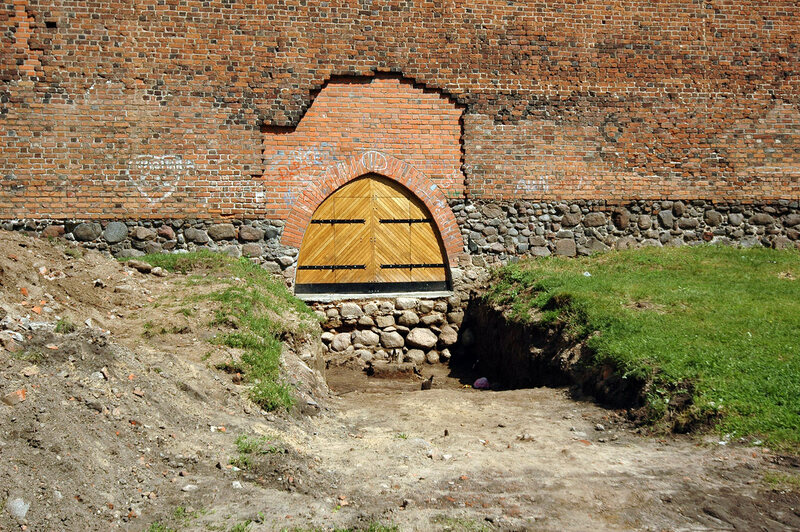 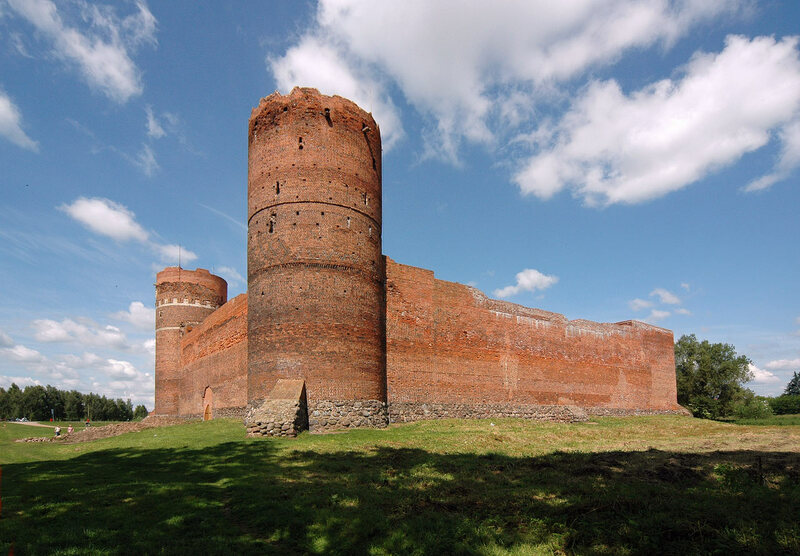 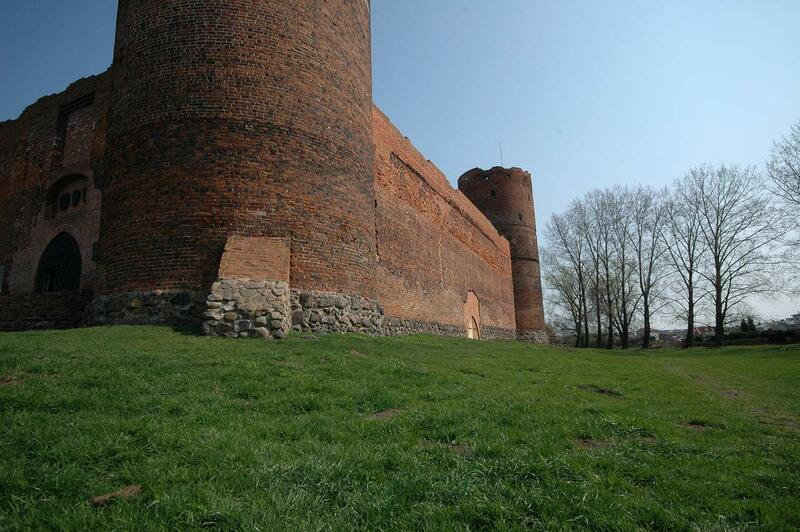 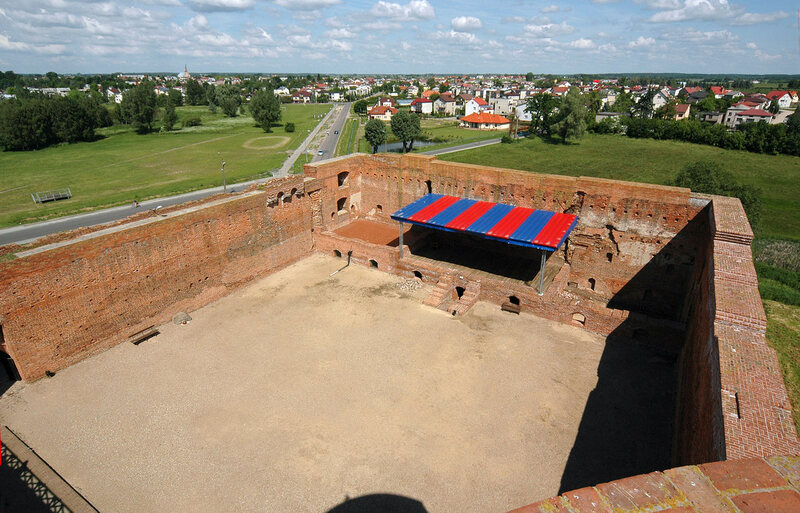 h e first record of a fortified structure in Ciechanów is the so-called ?Falsyfikat mogileński? 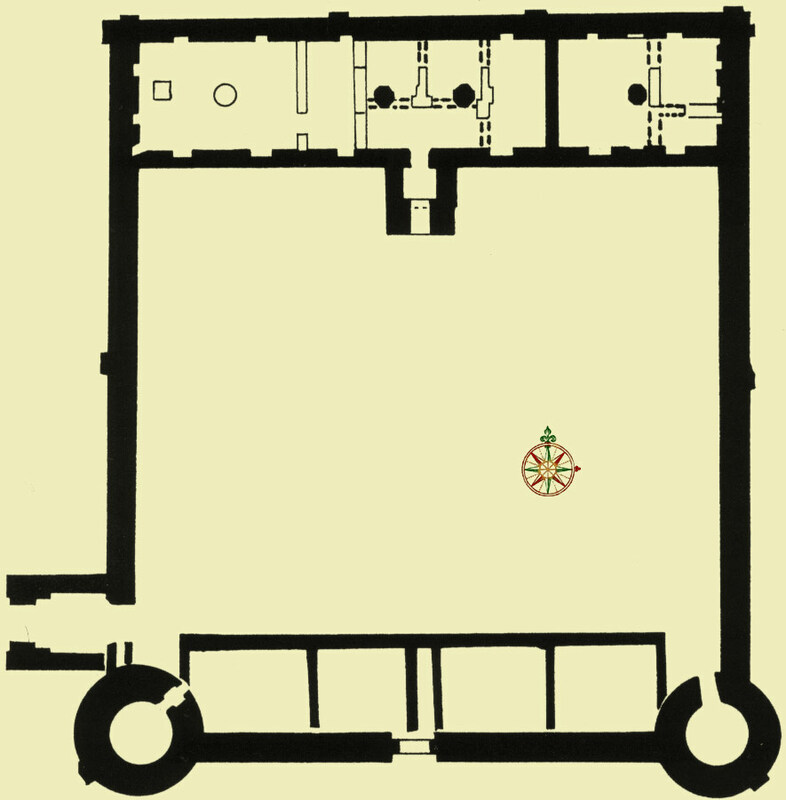 of 1155. 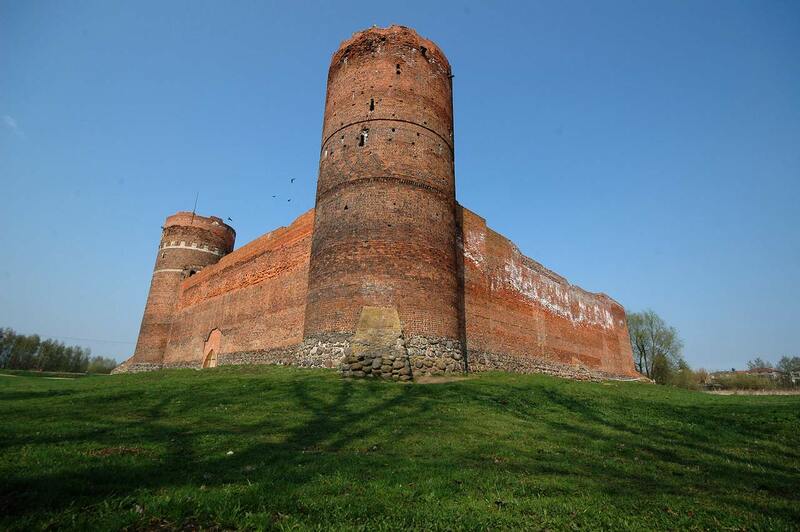 It mentions a borough of great importance on the Mazovian - Prussian border. 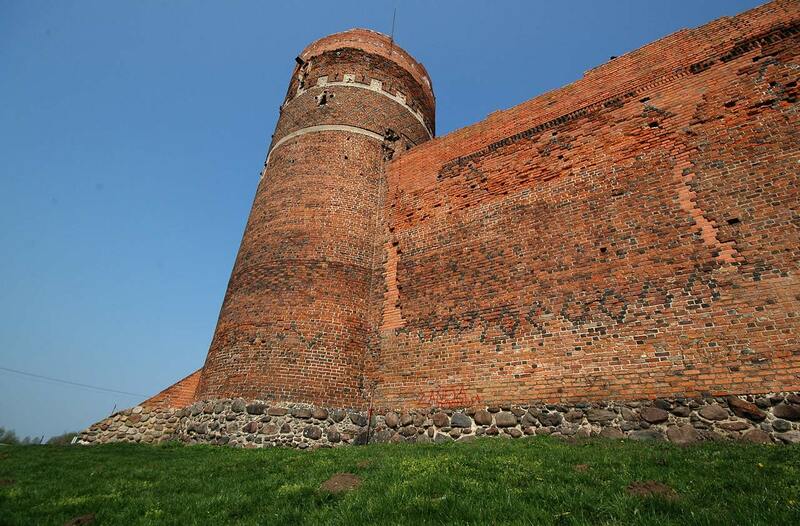 This borough withstood numerous Lithuanian and Prussian incursions. 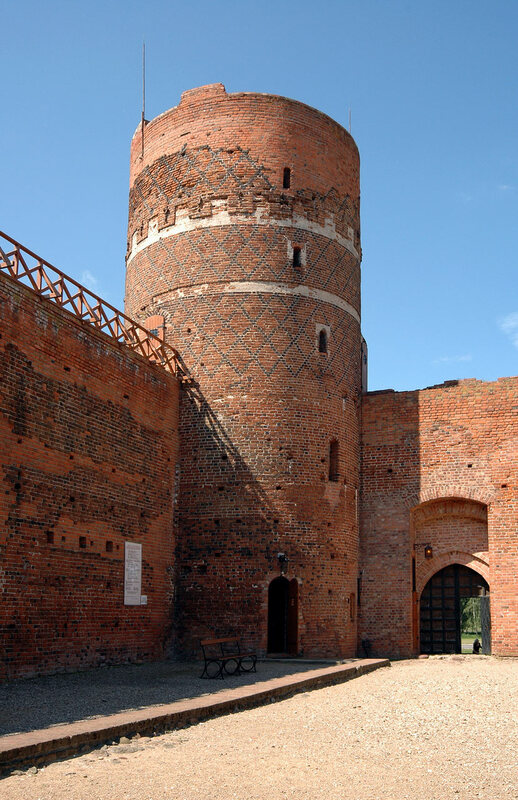 For them Poland was a rich country where they were looking for big loots. 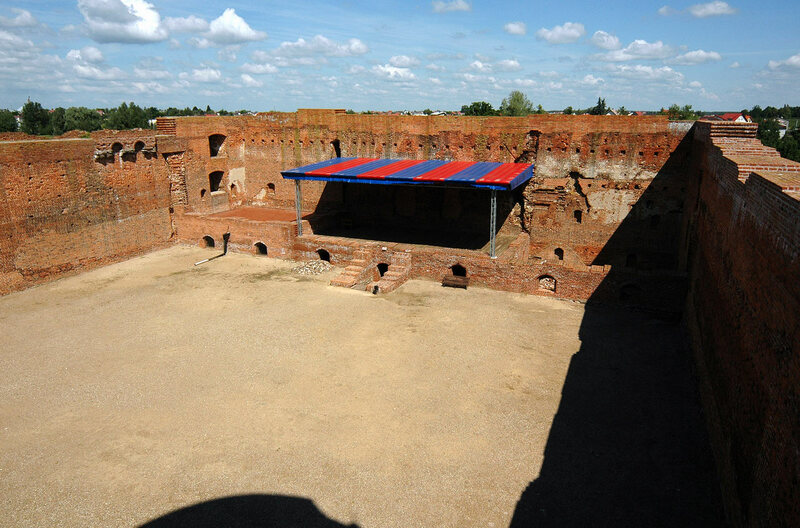 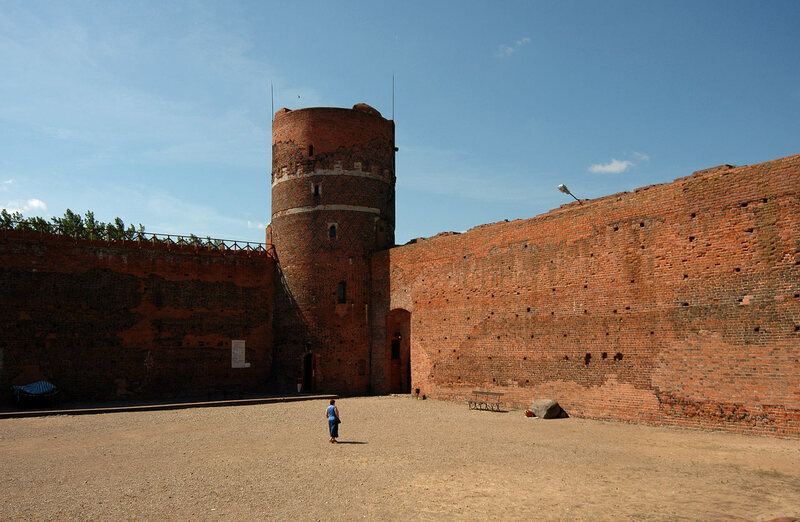 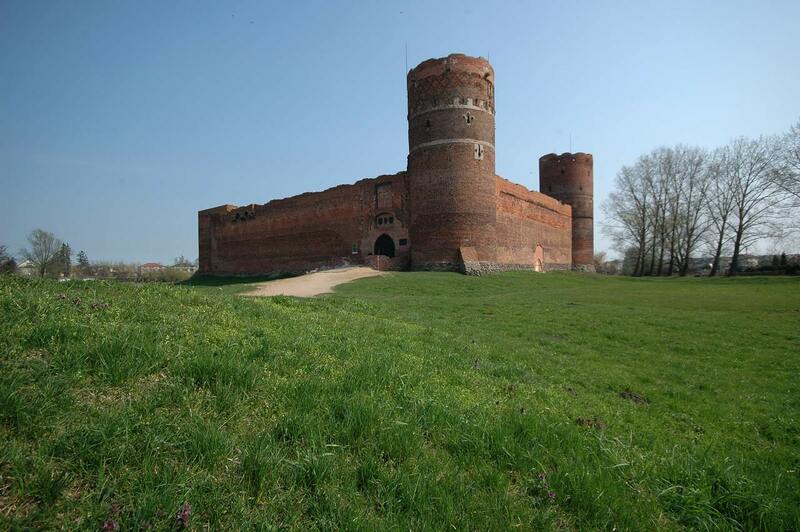 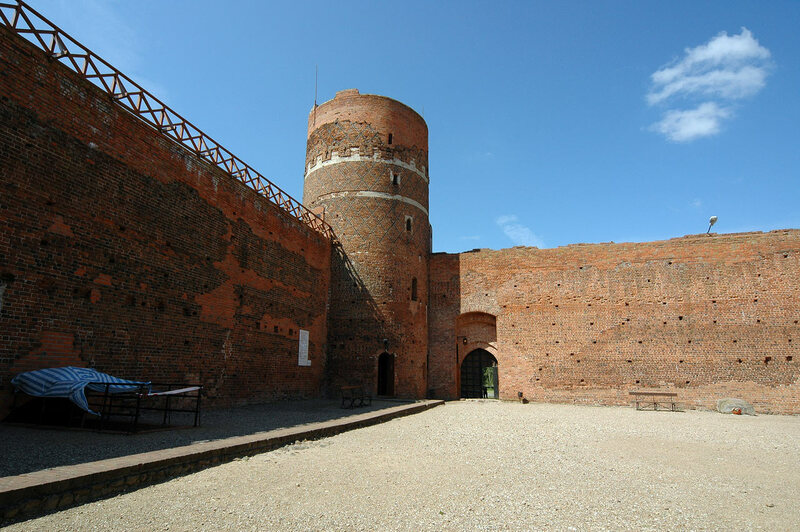 On the site of the old borough master Niclos erected a brand new castle for prince Janusz I Starszy (the Elder), remains of which have been left to our times. 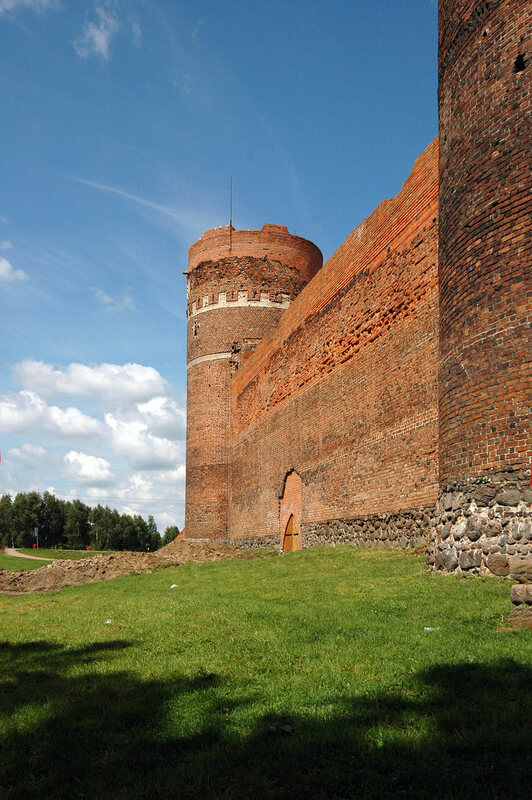 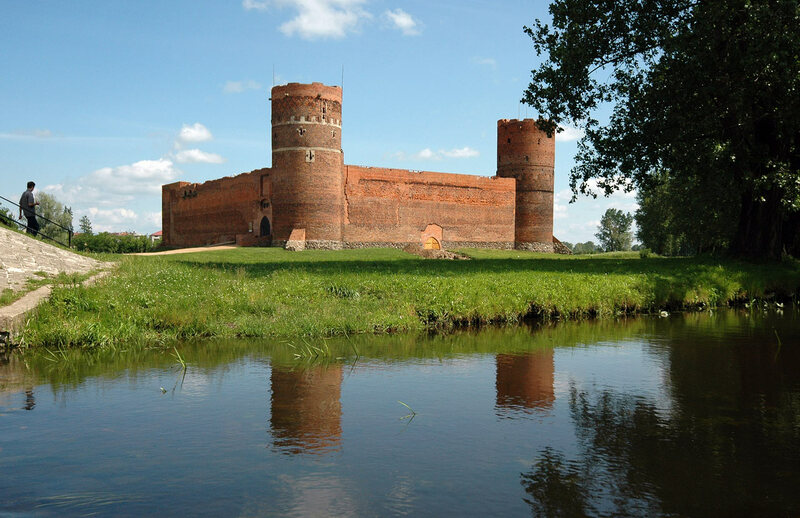 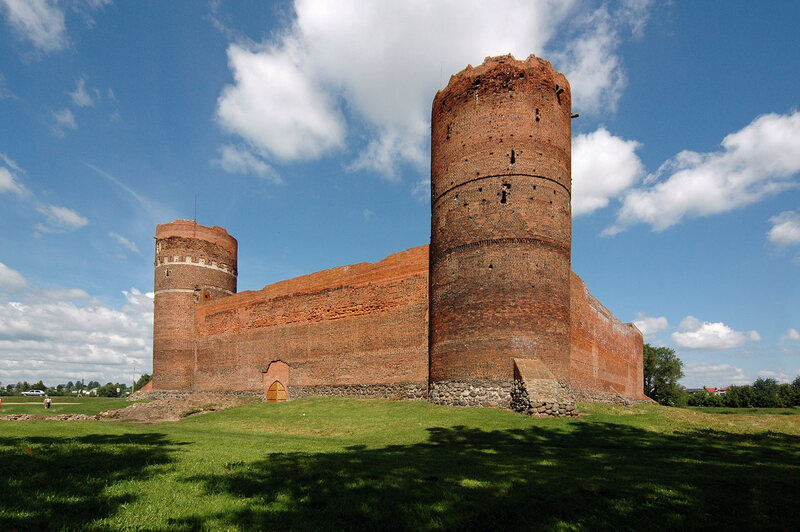 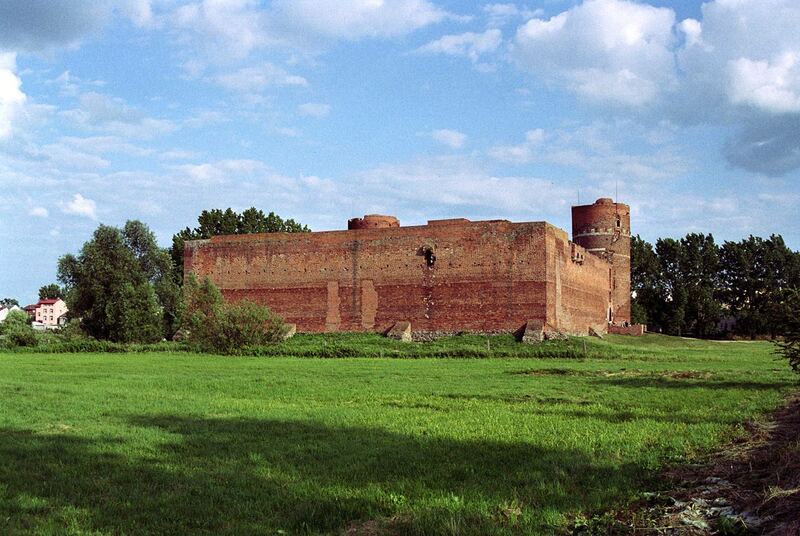 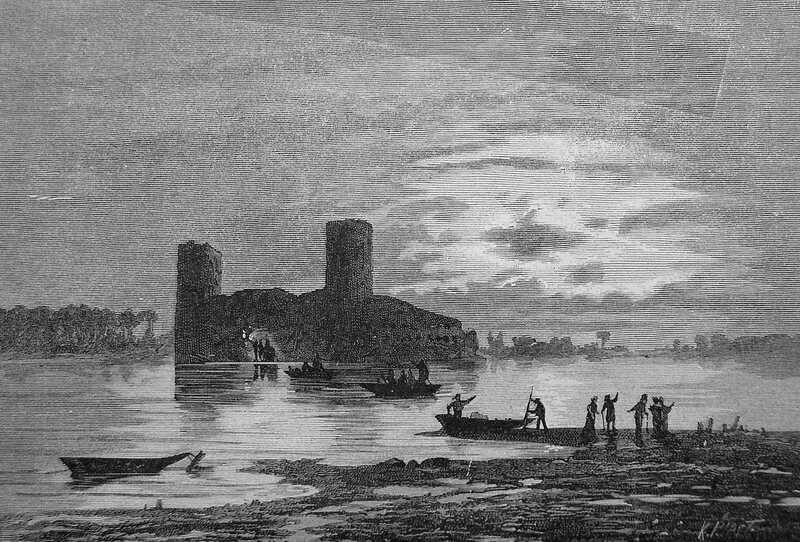 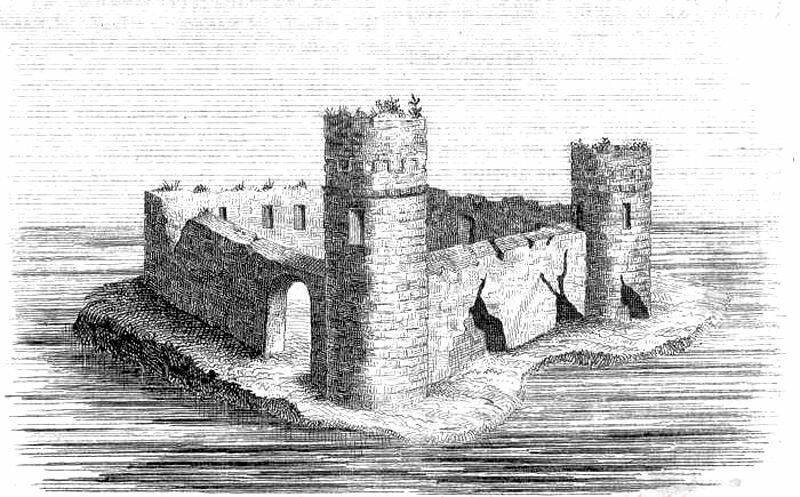 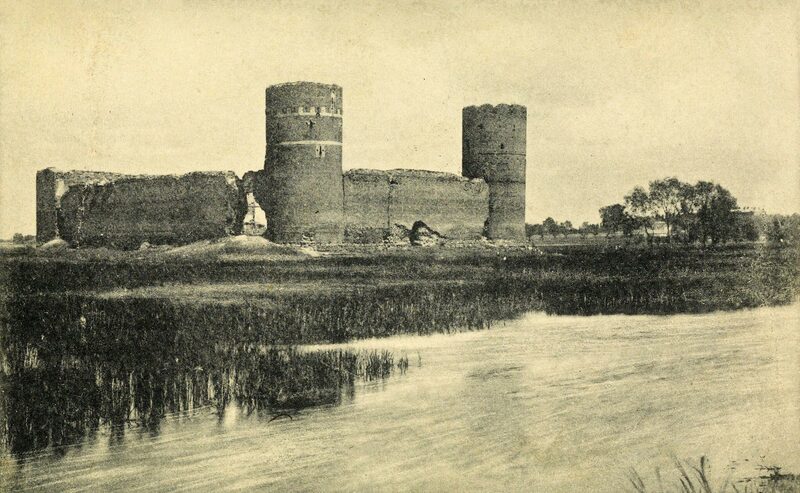 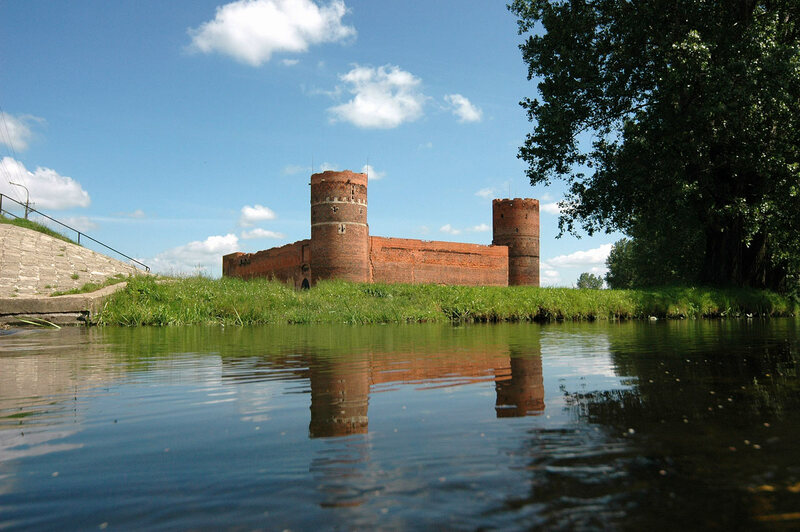 The fortress was built on marshy areas near the Łydynia River. 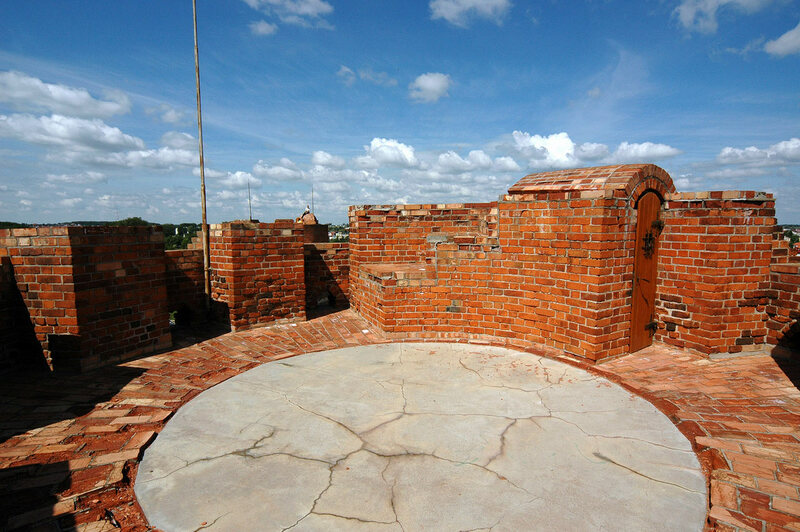 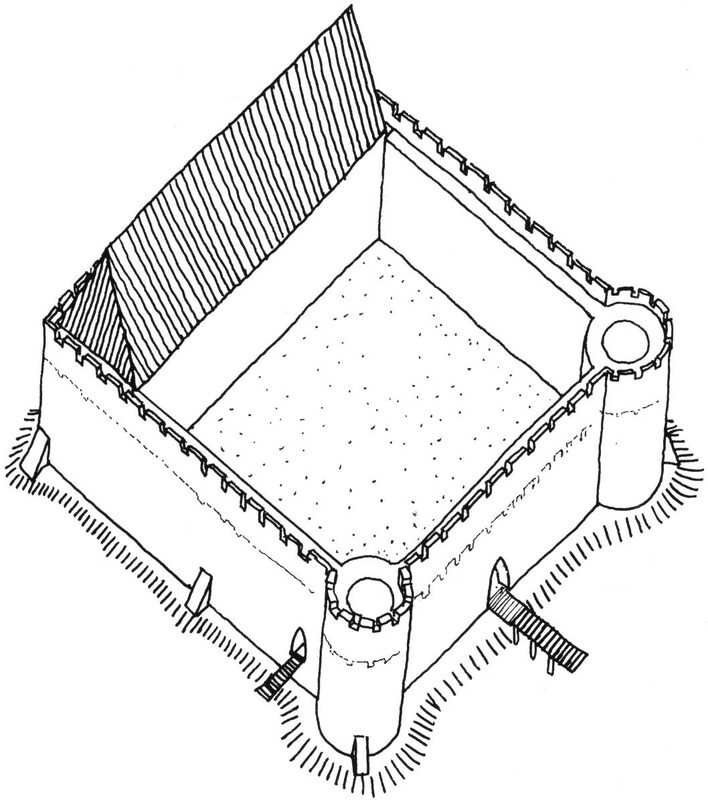 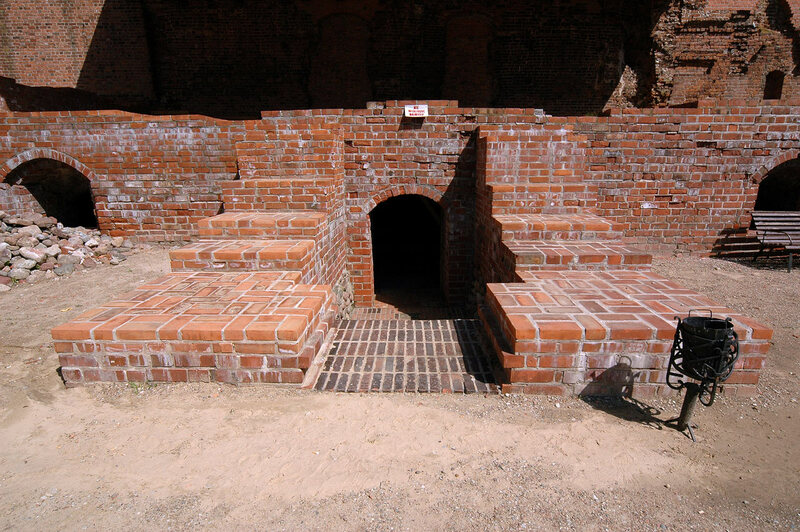 Its brick construction stood on the mound made of layers of clay and timber. 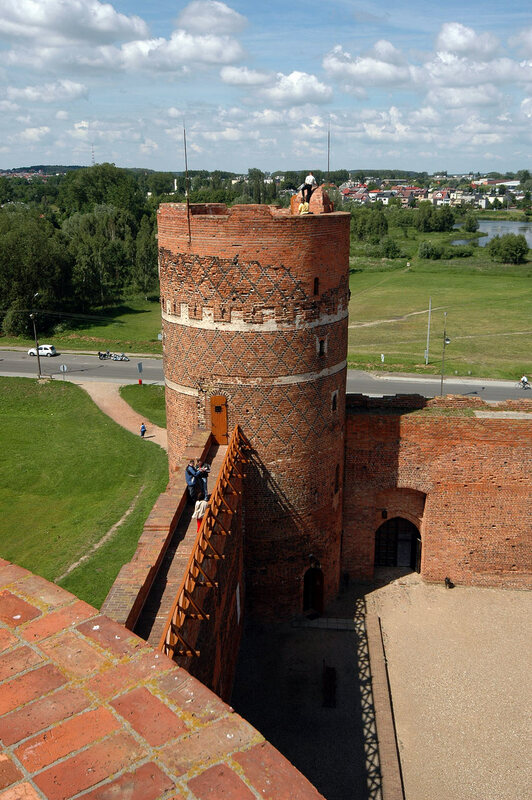 of 15 m over their full length. 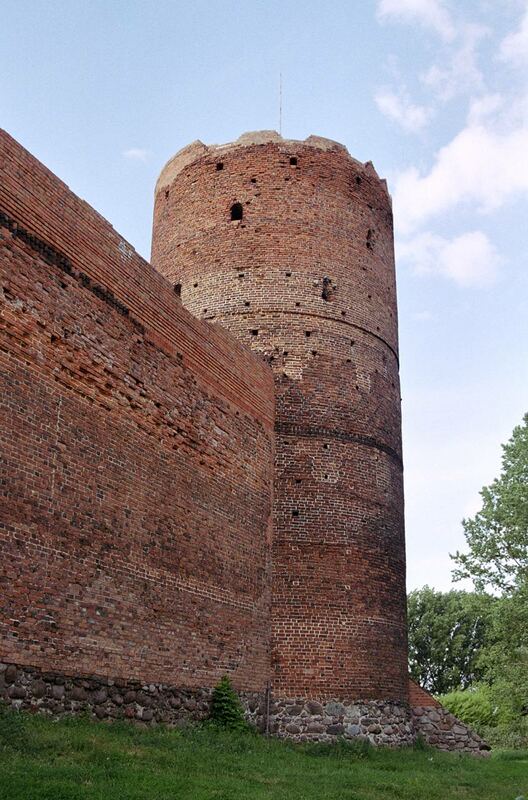 During the 30 Years War, in 1463, Ciechanów withstood the attack of The Teutonic Order troops. 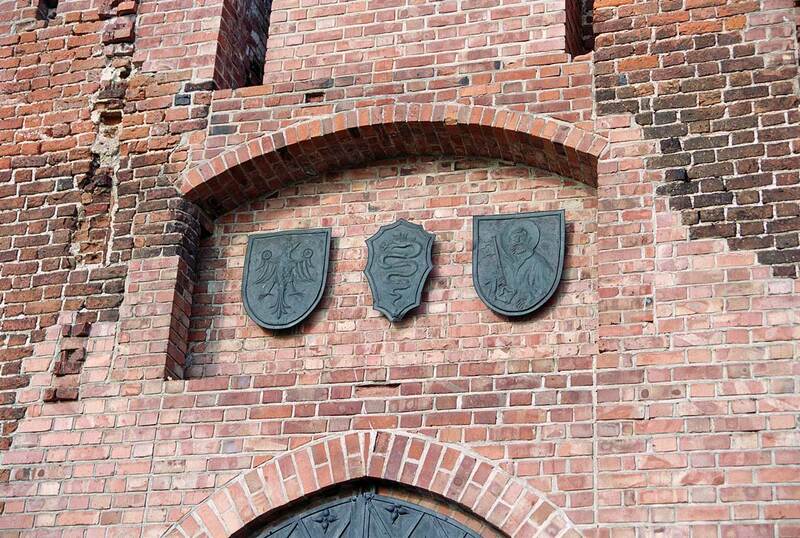 In 1523 it came back into Polish hands and was passed to Queen Bona who held it for the following 30 years. 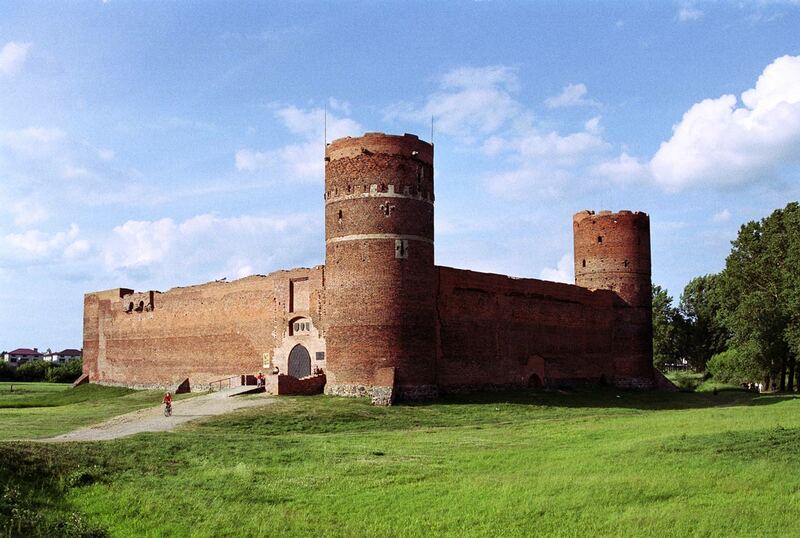 She ordered an extention of the castle. 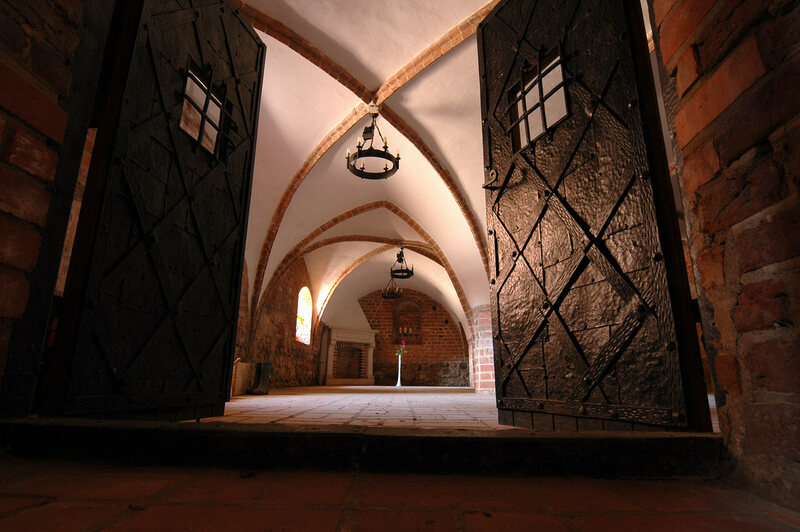 The historical record dating from 1580 gives a precise description of the rooms and criticises their bad condition. 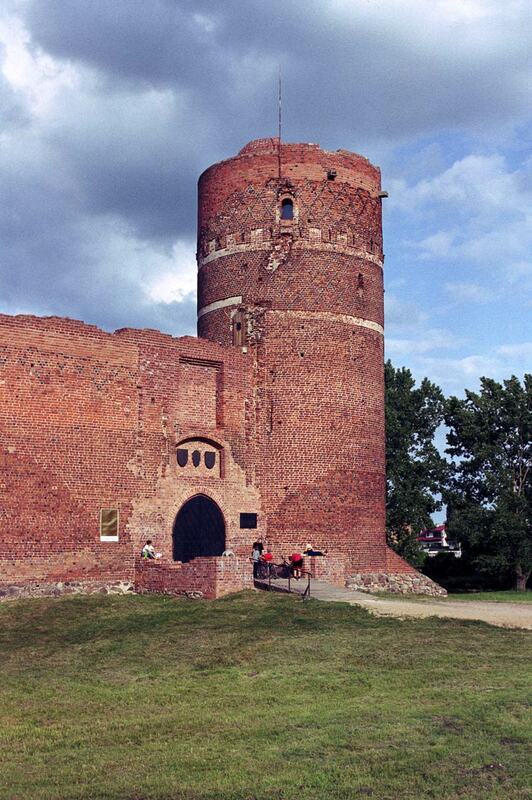 Soon after this the castle was destroyed by the Swedish army in the so-called ?Swedish Deluge?. 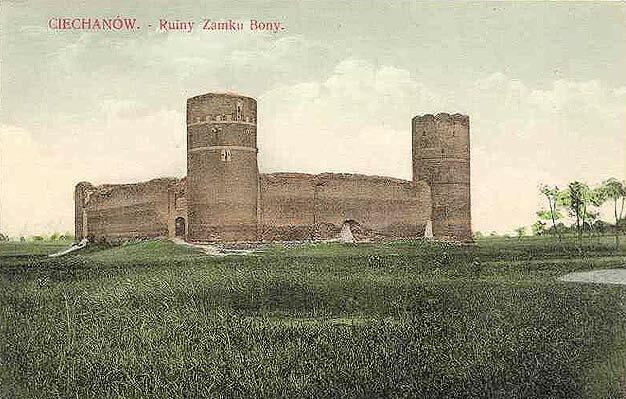 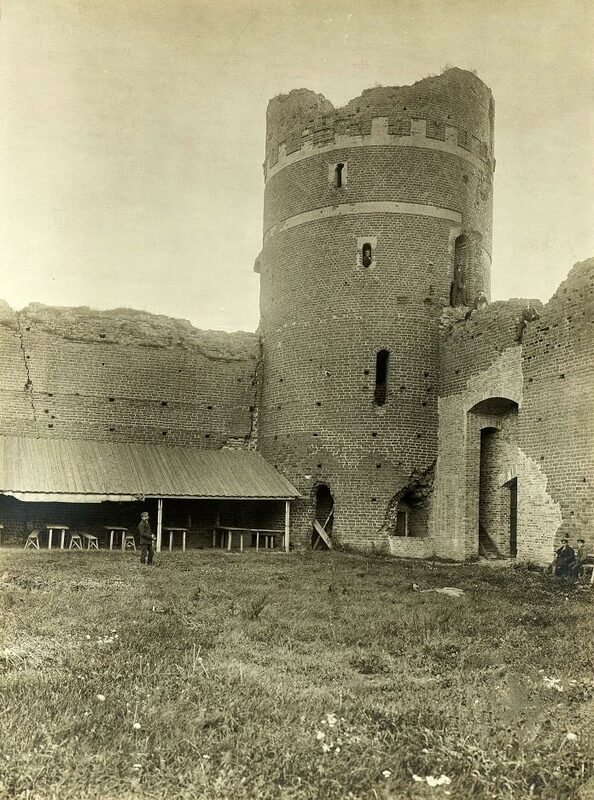 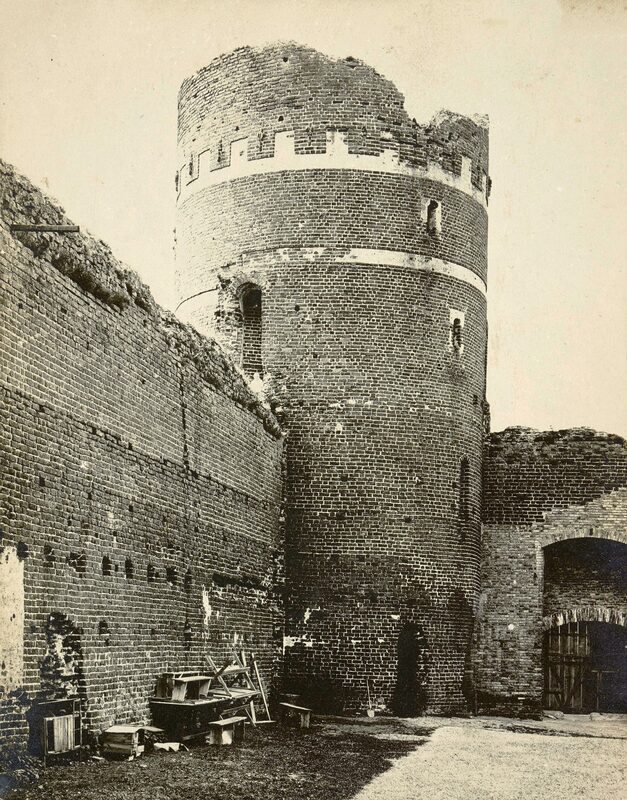 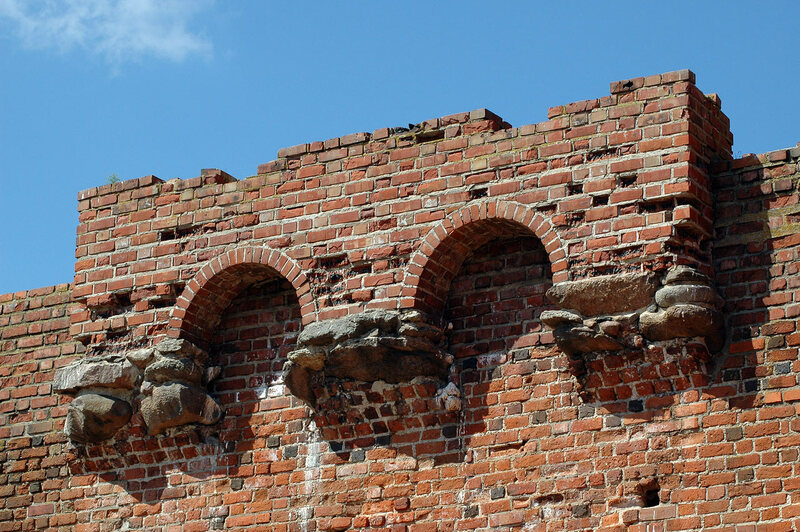 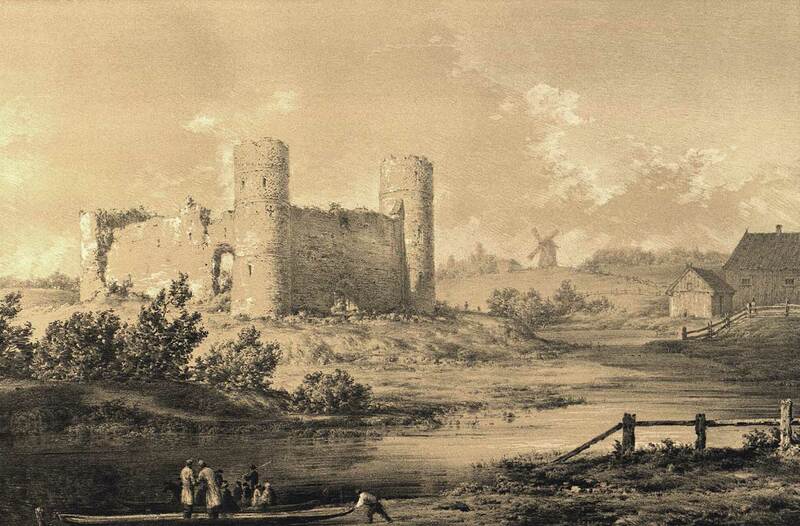 Following the third partition of Poland the Prussians tore the castle partially down, especially its inner buildings, in order to obtain materials for building a brewery in nearby Opinogóra. 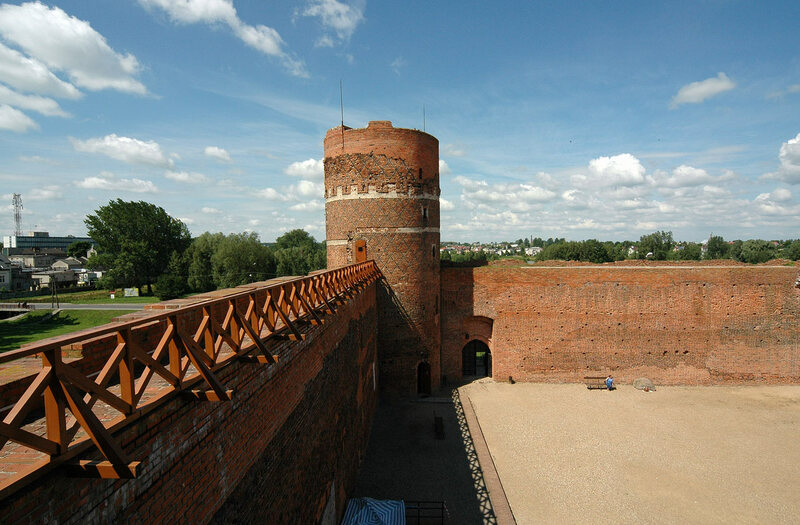 After the second world war restoration works were carried out in Ciechanów. 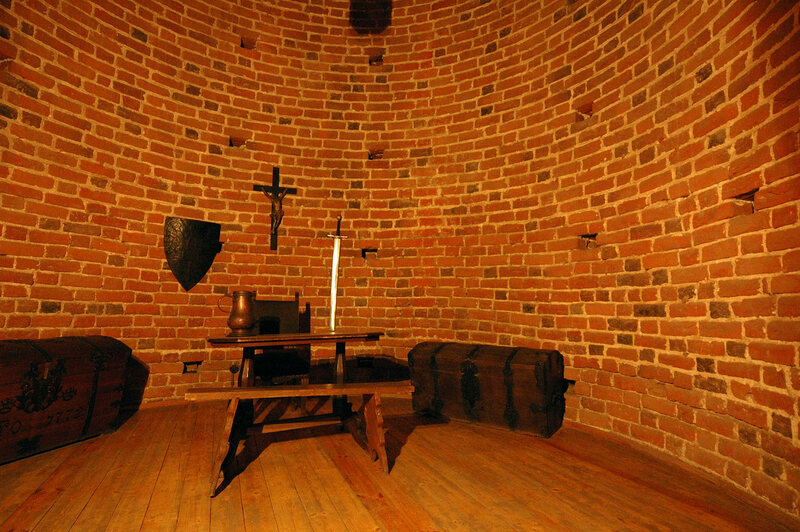 The renovated rooms of the towers are housing a museum now.